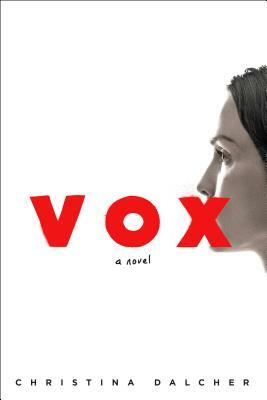 With compelling characters and relateable characters as its foundation, Vox is a powerful novel that hits uncomfortably close to home. I was torn between being unable to put it down and having to force myself to pick it up again. It has become increasingly difficult to read dystopian fiction in the current social and political climate because it is no longer an outlandish possibility, but an inevitability. This book shows us how important it is for us to stop looking the other way and hoping things will get better. If we don't speak up now, we may not be able to in the future.